Diabetes is a condition wherein the body is unable to regulate itself, either by producing insufficient amounts of insulin or proving resistant to insulin. It has a laundry list of horrible side effects, not limited to amputations and blindness, and numbers are at an all-time high. Although linked to obesity, diabetes affects people of all body types, many who barely have enough to eat. According to the International Diabetes Federation, around 382 million people in the world are afflicted, a number they estimate will rise to 592 million by 2035. While medications and careful health management can greatly prolong life, in places like sub-Saharan Africa where such resources are limited, 75 percent of diabetes deaths occur in people under the age of 60. Diabetes mellitus literally means “sweet urine,” as those with the disease tend to pass a great deal of sugar when they pee. Before modern testing methods, doctors would actually taste a patient’s urine if they suspected the person had diabetes. Luckily, those days have passed, but bizarrely enough, people continue to drink the urine of diabetics. If anyone could be considered the “face” of diabetes, it would be Wilford Brimley. 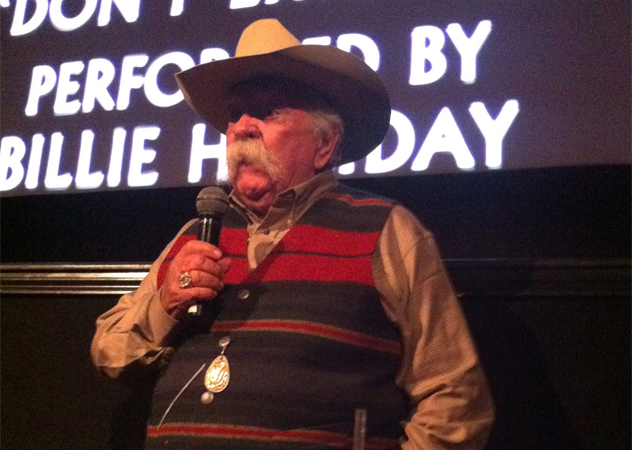 Known for his portrayals of gruff, stodgy old men, Brimley has been in dozens of films, including The Natural, Cocoon, and The Firm, along with commercials for Quaker Oats. Since developing diabetes in 1979, Brimley has been a tireless advocate for those with the disease, visiting hospitals and counseling the sick. He has also served as the spokesman for Liberty Medical, which delivers diabetes supplies to your door. Bizarrely enough, Brimley has invited a great deal of controversy from his other hobbies—among other pursuits, he loves attending cockfights and has fought to keep the vicious bloodsport from being banned. Humans aren’t the only animals that can suffer from diabetes. Unfortunately, our furry friends can get it as well. Male cats and female dogs are more likely to develop the condition than their counterparts. Diabetes in animals has many of the same causes as it does in humans— namely, genetics, diet, and lack of exercise. Owners tend to “baby” their pets, showering them with treats and table scraps. Likewise, most animals no longer have a job to do; they lounge around the house and maybe take a jaunt around the block once in a while. While chubby cats and dogs might amuse on YouTube, their chances of diabetes skyrocket with every extra tick of the scale. Like humans, they need insulin to maintain their health. There are both oral and injectable insulin medications available for animals, but dogs typically don’t respond to oral insulin. 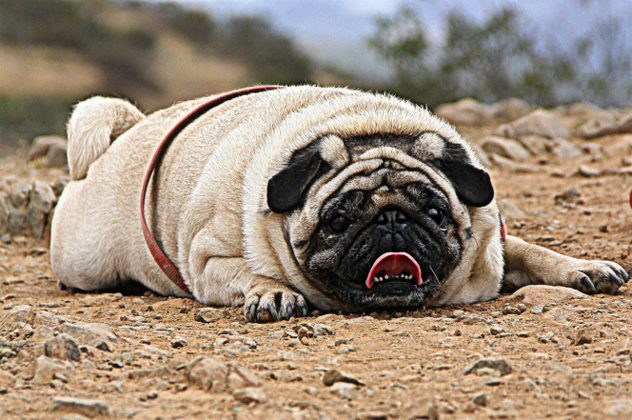 Small dogs usually need around two shots a day, while larger ones can usually get by on one. And as you can imagine, this can get very, very expensive. Another one of the awful symptoms of diabetes is damage to the capillaries and blood vessels of the eyes. 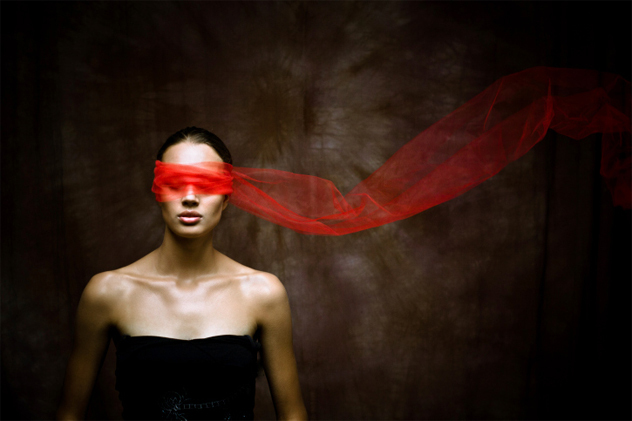 Those affected can suffer from blurry vision or outright blindness. Conditions like cataracts and glaucoma are exacerbated by diabetes, but the most common issue is diabetic retinopathy. Retinopathy occurs in four increasingly destructive stages, wherein the blood vessels that supply the retina become swollen and blocked. As it progresses, the walls of the vessels become extremely thin, and can eventually begin leaking. This will initially manifest itself as something like floating spots in your field of vision, but can get far worse in the case of a bad leak. According to the American Diabetes Association, 28.5 percent of diabetics age 40 and over suffer from some form of retinopathy. 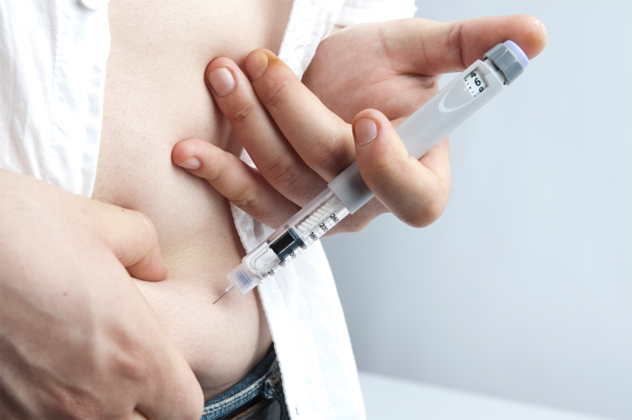 The peptide hormone insulin was not discovered until 1921. Prior to this, developing Type I diabetes was essentially a death sentence, and hospitals had wards full of languishing children. Insulin was first isolated at the University of Toronto by a collaborative team led by scientist Frederick Banting. The first person to be administered the insulin—which they derived from an ox—was a 14-year-old named Leonard Thompson, who was dying in Toronto General Hospital. He received his first shot on January 11, 1922. Unfortunately, the insulin they used was impure. They gave Thompson an improved batch 12 days later, and his health immediately improved. They then went on to give insulin to dozens of dying children and stood back to watch the miracle of their discovery take root. The following year, Banting was granted the Nobel Prize in Medicine. Banting and his team could have potentially made billions from insulin, but they had the greater good in mind when they sold the patent to the University of Toronto for a half dollar. Diabetes has plagued humankind for thousands of years, and was described in ancient Egyptian manuscripts dating back to 1550 B.C. Not surprisingly, the disease was somewhat rare in the past. While the pyramids were being cobbled together, there weren’t any 24-hour doughnut franchises, and most people survived on a subsistence diet. Those who did manifest the familiar symptoms probably had Type I diabetes (which only makes up about 10 percent of cases today). Doctors in India also recognized diabetes during this era. They called it “madhumeha”—honey urine—and recorded that it would attract ants. 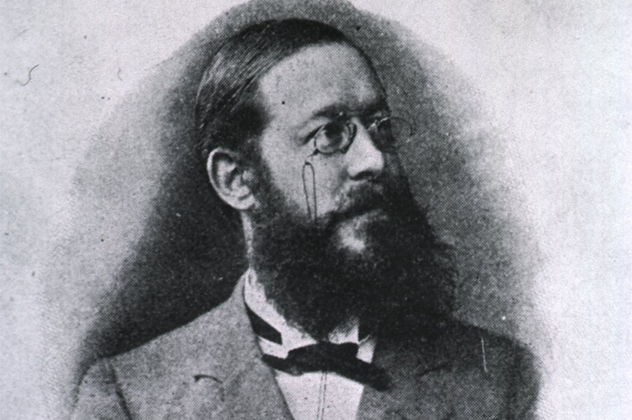 The link between diabetes and the pancreas was not established until 1889, when physicians Oscar Minkowski and Joseph von Mering became interested in just how the pancreas fit into the digestive process. The men removed a dog’s pancreas, and a few days later clouds of flies were found feeding on the dog’s urine, which was rich in sugar. There are at least three different types of diabetes, and possibly several more yet unclassified. Type I diabetes is particularly insidious, as it typically manifests in young children and is unrelated to lifestyle. 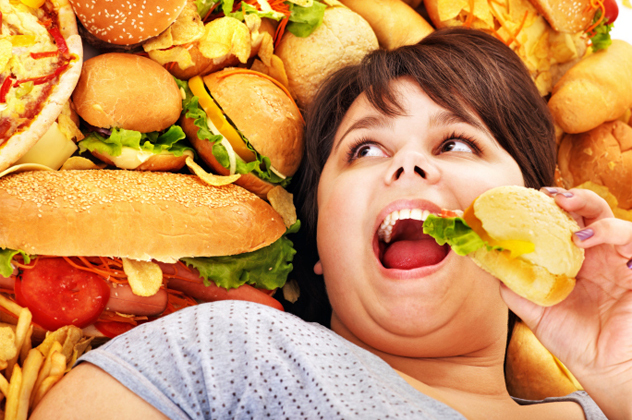 Type II is generally linked to poor health choices, like overeating, lack of exercise, and prolonged stress. Pregnant women may develop the third type, gestational diabetes, which can be harmful to both the mother and the child. Gestational diabetes tends to clear up or greatly improve after birth. In recent years, scientists have also begun suggesting that Alzheimer’s disease may actually be a form of diabetes. They assert that the brain, along with the rest of the body, becomes resistant to insulin, and develops the protein plaques that essentially destroy cognition. 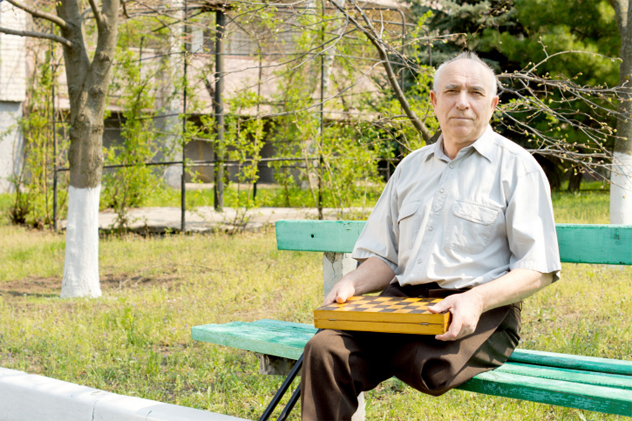 While the link between diabetes and Alzheimer’s has not been fully realized, it is recognized that those with diabetes have at least double the chances of developing dementia later in life. The link between sugar consumption and diabetes is fairly well established; studies indicate that sugar affects the liver and pancreas in ways that other foods do not, eventually serving to make the make the body resistant to insulin. 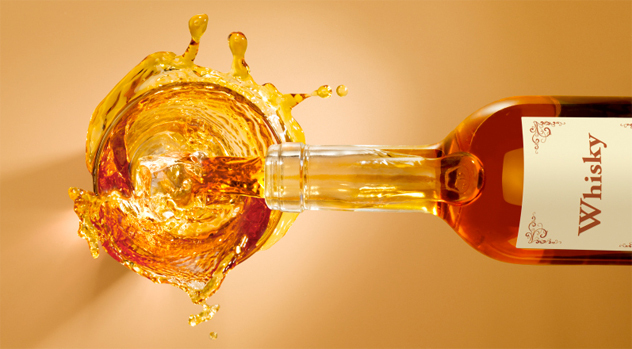 One source of sugar in our diets that people often don’t consider is the consumption of beverages. Iced tea, fruit juice, and particularly soda contain massive amounts of the stuff—one 12-ounce can of Coca-Cola contains an astonishing 39 grams of sugar, more than a Snickers bar. Considering many people will indulge in three or four cans a day without batting an eye, the toll on the body can be huge. Other foods may also play a part in the development of the disease. Nitrates (which are also carcinogenic) may affect the DNA and promote diseases linked with aging, including diabetes, Alzheimer’s, and Parkinson’s. Nitrates are found everywhere, especially in cured meats, bacon, cheese, and beer. 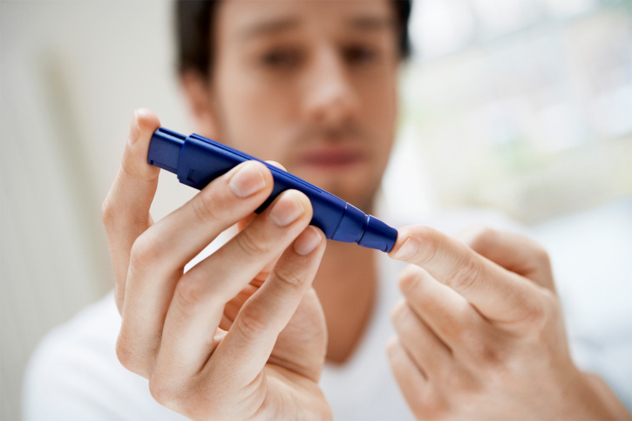 Those with severe diabetes must frequently check their blood sugar levels. Should they become too high (hyperglycemia) or fall too low (hypoglycemia), you run the risk of falling into a diabetic coma. Luckily, other symptoms, like increased thirst, fever, and headache, tend to manifest themselves first and allow the person to seek help before becoming unconscious. Prior to the 1970s, when blood glucose meters were invented, this tended to happen quite frequently. Diabetic comas are particularly dangerous to people living alone who may go undiscovered. If left untreated, it can cause permanent brain damage, even death. Tragically enough, diabetic motorists can also be responsible for more than their fair share of car accidents, as drops in glucose can bring on sudden disorientation and vision problems. Diabetes, as we’ve mentioned, comes with a laundry list of complications. One of the worst is a condition called diabetic neuropathy, which is damage to the blood vessels that supply the nerves. This presents itself as a numb, painful, tingling sensation, particularly in the feet. Often, diabetics also suffer from peripheral arterial diseases, which restricts blood-flow to the feet. These conditions in conjunction are a recipe for disaster—the skin becomes dry and sensitive, and is more likely to develop ulcers. The lack of circulation makes infection difficult to fight off, and even with prompt medical treatment, amputation is often necessary. In the United States alone, approximately 65,700 lower-limb amputations were performed in 2006 as a result of diabetes.